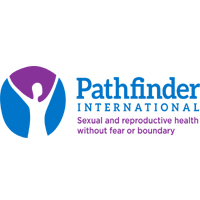 Pathfinder International is a global leader in sexual and reproductive health. We place reproductive health care at the center of all that we do-believing that it is not only a fundamental human right, but is critical for expanding life opportunities for women, families, communities, and nations, and paving the way for transformations in environmental stewardship, decreases in population pressures, and innovations in poverty reduction. Pathfinder provides women, men, and adolescents with a range of quality health services-from contraception and maternal care to HIV prevention and AIDS care and treatment. Pathfinder strives to strengthen access to family planning, advocate for sound reproductive health policies, and, through all our work, improve the rights and lives of the people we serve. Pathfinder International's mission is to ensure that people everywhere have the right and opportunity to live a healthy reproductive life. In Tanzania, Pathfinder provides women, men, and adolescents with a range of quality health services-from contraception and maternal care to HIV prevention and AIDS care-through a series of integrated projects. Pathfinder strives to strengthen access to family planning and HIV/AIDS, advocate for sound reproductive health policies, and, through all our work, improve the rights and lives of the people we serve. Leads and manages the project to achieve its intended impact in strengthening quality SRHR and SSCB service delivery (facility and community based) and globally increasing family planning use. Provides strategic leadership and managerial oversight of the administrative, programmatic, technical, and operational aspects of the project. Oversees the day-to-day work, including financial and budgetary oversight, timely implementation of activities, and stakeholder relationship management. Deploys staff and financial resources to achieve project targets. Positions the project as a leader in the field of SRHR and SSCB and as a successful partner in the development and cost-effective implementation of funded programs. Develops and maintains relationships with funding organizations and SRHR, SSCB programs operating globally. S/he will work very close with Pathfinder sub grantee in supporting the districts to improve quality of maternal and neonatal health services to reduce maternal and neonatal morbidity and mortality. 1. Strategic Leadership: Provides strategic direction of project activities. Develops and updates the project strategic plan to ensure alignment with programmatic directions and international priorities. 2. Project Implementation: Ensures that project performance objectives and mandated deliverables such as technical activities, annual work plans and programmatic/financial/technical reports are carried out in a timely fashion and meet the highest quality standards. 3. Monitoring, Evaluation and Learning Plans: leads and directs monitoring, evaluation and learning strategies, frameworks, plans and indicators to capture project performance and results. Leads a periodic implementation review process to monitor progress and to identify specific actions that may be needed to achieve expected results. 4. Financial and Administrative Operations: Collaborates with project staff to establish arc maintain the ongoing administrative and financial operations of project offices, and ensure compliance with Pathfinder International's policy and contract provisions. Develops, monitors and revises budget pipeline and conducts monthly reviews to ensure accountability of all project activities as well as the accurate and timely reporting of finance deliverables. Manage funds and approve expenditures in accordance with Pathfinder International and USAID procedures, cost principles, and regulations. 5. Contracts: Contracts with and manages local individuals/organizations for identified tasks according to regulations and procedures. Negotiates consultancy agreements and develops capacity of local partners in mandated program areas. 6. Security Standards and Guidelines: Ensures that appropriate security standards, guidelines and procedures are established, maintained, updated regularly and adhered to by the staff in all project offices in compliance with donor rules and regulations. 7. Management and Supervision: Recruits, hires, develops and manages staff and subcontractors. 8. Management Reports: Develops and presents timely financial, technical, and operations reports and updates on the project progress and difficulties, Documents project achievements for communications materials such as the annual reports, brochures, and website updates. 9. Brand Ambassador: Cultivates and strengthens positive, productive relationships with donors, regulatory agencies, partners, and governmental agencies to ensure that Pathfinder International is consistently viewed as an effective implementing partner in meeting and achieving project targets. 10. Proposals: Provides input and support to proposal teams in planning for and developing proposal submissions for project support. • Country Specific Public Health System: Deep knowledge of the countries' public health systems. Deep knowledge of the political, social, economic, and cultural context of working globally. Mastery of knowledge of applicable US Government regulations and administrative procedures on the country specific public health system programs and projects. • Sexual Reproductive Health and Rights Services: Deep knowledge of family planning and reproductive health principles, practices and services of programs, including program strategies and indicators, and the latest professional developments in SRHR, including special challenges and measurement issues faced in the developing world. • Strategic Planning and Implementation: Advanced skills strategic visioning and leadership in institutional capacity building and developing. • Proposal Development: Mastery of skills in proposal development from concept to full proposal, resource mobilization and budget management. • Research Methods: Advanced knowledge and ability to apply quantitative and qualitative research methods. • Data Collection Methods: Advanced knowledge in data integrity and collection methods. • Statistical Software Applications. Proven ability to apply statistical software applications. • Leadership and Management: Proven ability to lead, manage, and develop others within a matrix culture. • Change Leadership; Ability to demonstrate a high degree of flexibility in managing change across a broad group of stakeholders in an inclusive manner. • Communication and Influencing Skills: Proven ability to influence others, including donor agencies and local partners, through diplomacy and proven oral and written communication skills. • Presentation Skills: Proven ability to make presentations on results to small and large groups. • Passion for Sexual and Reproductive Health: Demonstrated commitment to family planning, reproductive health services, gender, maternal, child health services, and eradication of harmful traditional practices. • Seft-Management and Teamwork: Ability to work independently or as a member of the team, ability to work with people from different cultures, ability thrive in a matrix organization, ability to be detailed-oriented, and ability to manage stress effectively in a fast-pace environment. • Confidentiality: Ability to maintain confidentiality in work-related matters. • Master's degree (or equivalent) in public health, social sciences, health systems, nursing administration, management, or a related advanced degree. • 10 years of experience designing and implementing health service delivery strengthening projects, with five of these years spent managing large, complex family planning projects while living in developing countries. Interested applicants are requested to submit their CV, including contact details for 3 references before the close of business on May 30, 2018. Applications should be addressed to the Director for Human Resources and Administration, Pathfinder International, PO Box 77991, Dar es Salaam or sent via e-mail to Tanzania-jobs@pathfinder.org stating the position being applied for in the subject line. Only short-listed candidates will be contacted.